Gordon: Motorcycles have become "crime machines"
Some 'riding-in-tandem' criminals indeed use their own motorcycles when committing a crime, according to Philippine National Police – Highway Patrol Group (PNP-HPG) P.Supt. Darwin Clark Paz, during a forum hosted by Senator JV Ejercito at the Senate Building last Tuesday. “Although admittedly, a lot are saying that [riding-in-tandem] criminals will not use their own motorcycles or plate when committing a crime, we [PNP] have proven instances that some of these riding-in-tandem criminals really use their own vehicles [motorcycles].” said the P.Supt. in Filipino. The PNP – HPG strongly welcomes the RA 11235, or as motorcycle riders call it, the Doble Plaka Law, because it will help make identifying motorcycles associated with crimes and the felons that ride them much easier. 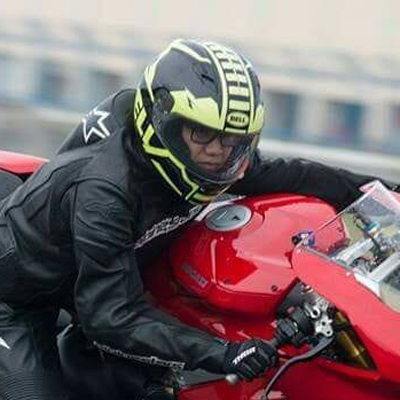 “That's why we [PNP] welcome this law so that there's identification for motorcycles being used by criminals, it is also much easier for us to determine if they are really the person behind the crime,” added Paz. The PNP – HPG however, assured the motorcycle riding public that they will not apprehend motorcycle riders until the LTO comes up with the Implementing Rules and Regulations for the RA 11235. They encourage the public to report abuses committed by policemen and any "enterprising" law enforcement units from the LGUs (local traffic enforcers) with regards to the Doble Plaka Law. Motorcycle groups are united in opposing the new Doble Plaka Law, saying that they are being unjustly discriminated as criminals with the requirements of the new law, and being penalized for the shortcomings of the government to solve the problem of motorcycle-related crime. A nationwide Unity Ride protest will be staged at the People Power Monument on Sunday, March 24. Honda Japan is releasing versions of the Cross Cub CC110 and CC50, themed around the motorcycle-riding bear Kumamon.